Entry via Faringdon Road, Church Place or Park Lane. A simple large expanse of green close to the centre of the town, with ornamental gardens. 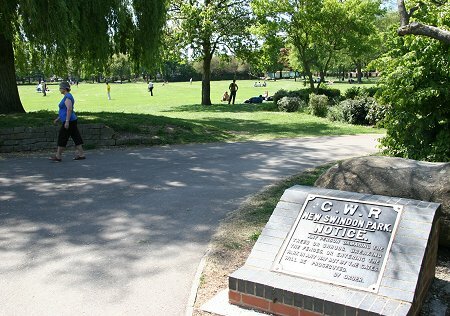 The park dates from the 1840s when it was provided by the Great Western Railway workers - many of whom resided in the adjoining Railway Village. 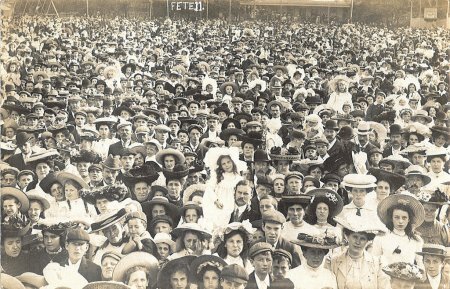 It was a popular venue for railway workers' community and sporting events and later, fetes and rallies (a tradition that has recently been revived, see fête link below). 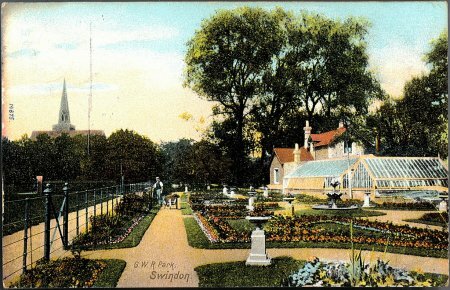 Faringdon Park was also the venue for one of cricketing most unusual moments, when in 1870 the great W.G.Grace (world renowned as one of the greatest players ever to pick up a bat and ball) was dismissed for a duck in both innings when playing for Bedminster against the New Swindon side. 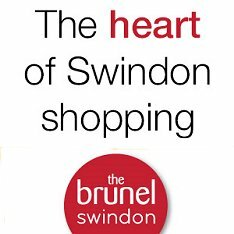 The park is now popular with local residents enjoying a leisurely stroll and central Swindon office workers taking a break from work.